The Alps to Ocean Cycle Trail EPIC is a challenging 320km cycle from the majestic snow capped peaks of the Southern Alps all the way to the Pacific Ocean at Oamaru on the Alps 2 Ocean Cycle Trail. 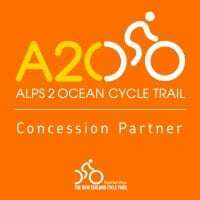 The Alps to Ocean Cycle Trail is a challenging, yet achievable, 320km cycle trail that consists of a mix of purpose built firm gravel trails, and sealed and gravel public roads. The trail starts from the awe inspiring snow capped peaks of the Southern Alps, heads into the tawny tussocky Mackenzie Basin, down to the fertile farmland of North Otago and finally to the coast at Oamaru, a delightfully impressive Victorian city. This tour offers a challenging but rewarding ride through some of the best scenery in the South Island. Our Pure Trails bike tour package of the Alps 2 Ocean Trail features 57% cycling on cycle trails, 26% cycling on sealed roads, and 17% cycling on gravel roads. The riding is rated Grade 2 and there are a few longer rides and challenging climbs that can be skipped if desired. Our support vehicle is available throughout the cycle tour. Refer to our Level of Difficulty page for more information. We also have a Grade 1 rated itinerary of the Alps 2 Ocean Trail, our Alps to Ocean Trail EASY tour, in which we cycle 203km of the easier sections of the trail. The Alps to Ocean Trail cycle tour gets underway as we head south across the plains towards Geraldine. After a lunch stop we continue into the Mackenzie Basin, driving past Lake Tekapo to Lake Pukaki and the start of our cycle trail ‘great ride’. Alternatively we can organise a bus transfer from Queenstown to Tekapo. The first 6km cycle ride section is on a sealed road providing a good opportunity to get familiar with your bike. You then enter the cycle trail on the Lake Pukaki foreshore, featuring fantastic views of Aoraki Mount Cook and the snow-capped Southern Alps, all the way to the spillway (9km). Enjoy a refreshment break at the Lake Pukaki foreshore before embarking on the final section of the day on the bike trail across the Pukaki Flats to Twizel (10km) featuring great views of the immense Mackenzie Basin and the late afternoon sun falling across the Benmore Range. Check into our comfortable accommodation for the next two evenings. We drive up to the top of the eastern side of Lake Pukaki in our support vehicle. This morning’s Alps 2 Ocean cycle trail section is a highlight of the bike tour and could contend for the title of the best bike ride in the country. The 21km section travels 11km north deep into the mountains to the point adjacent to the Mt Cook Airport. The views here are quite simply superb and will take your breath away. The trail then retraces south to the carpark. Enjoy a picnic lunch with the mountains before you before completing the next two sections of the day, 34km of cycling following the shores of Lake Pukaki, passing by the location of ‘Lake Town’ in the Hobbit Trilogies, back to yesterdays starting point. At the conclusion of the bike ride we load our bikes and drive back to Twizel and our accommodation. We cycle out of Twizel this morning on a sealed rural road to the Pukaki – Ohau canal. The fields in this area became the setting for the pivotal battle of Pelennor Field in the Lord of the Rings ‘The Return of the King’. This 19km cycleway section follows the road alongside the canal to the Ohau weir. Here we enjoy morning tea with a fabulous view overlooking Lake Ohau and the Ben Ohau and Barrier Ranges. The next 14km section is on purpose built cycle trail along the edge of Lake Ohau and across to Lake Middleton. Continue 5km to Ohau Lodge where a sumptous lunch awaits. From here a challenging but spectacular 19km section of Alps 2 Ocean trail awaits, featuring a climb to the Tarnbrae highpoint and down again to the Quailburn. The final 23km ride takes you on an easy descent of the Quailburn and a short distance along the trail to Omarama and our accommodation. Enjoy an optional visit to the Omarama Hot Tubs. Today’s bike ride takes us down the Waitaki Valley. The first 24km section takes you from Omarama to Lake Bemore via Sailors Cutting and a lovely bike trail alongside the lake. The next 30km section follows the Benmore Dam, past the power station and along the pleasant sealed road beside Lake Aviemore. From here we follow the Waitaki River down the valley to Kurow (14km). In Kurow settle into our comfortable accommodation, explore the township, and enjoy a tasting of the local wines. We commence the last day of our spectacular Alps to Ocean bike ride. Firstly the ride continues down the valley on the cycle trail to Duntroon (28km). This section features an ancient Maori rock drawing site. We then leave the valley and head inland through North Otago countryside, home to the unusual limestone ‘Elephant Rocks’ to Windsor (32km). Enjoy lunch before the next 22km section through very attractive looking ‘English’ countryside on a rail trail, into Oamaru, finishing up our NZ great ride by the sea at Friendly Bay. Check into our accommodation and enjoy a celebratory meal together in the historic Victorian Precinct. Have a leisurely start to the day and spend the morning exploring the absolutely splendid Victorian precinct featuring some of New Zealand’s best 19th century architecture in Oamaru’s old town. We depart for Christchurch arriving in the city by 5:30pm. Alternatively you can take a bus to Dunedin or Queenstown from Oamaru. The Alps 2 Ocean Cycle Trail showcases New Zealand’s geological, geographical and historical highlights from the Southern Alps to the Pacific Ocean. PureTrails New Zealand’s Concession Partner membership with the Alps 2 Ocean Cycle Trail is assisting this new trail to become established as one of NZ’s premier cycle trails. As a commercial tour operator PureTrails New Zealand pays $5+ GST per person for every half day spent cycling the trail. 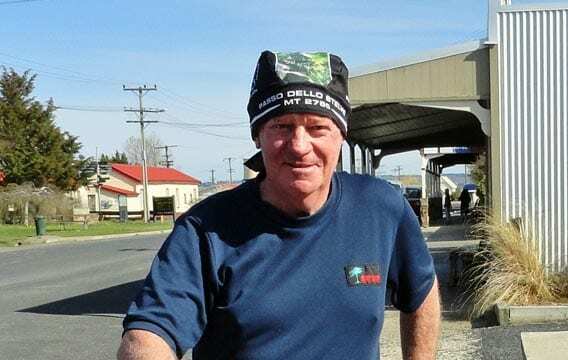 Peter grew up in Christchurch and early in his working life spent three years in Twizel during the construction of the Upper Waitaki power scheme. A career change led to 35 years in the New Zealand Police with time spent in Central Otago and Canterbury. Peter was active in Search and Rescue for much of his Police service and completed two overseas deployments to Thailand following the 2004 Boxing Day tsunami. He is a keen cyclist and an active, if not always successful, lawn bowler. Kevin has recently retired to Ohoka, Christchurch, after working 35 years as an IT manager in the Education and Local Government sectors. 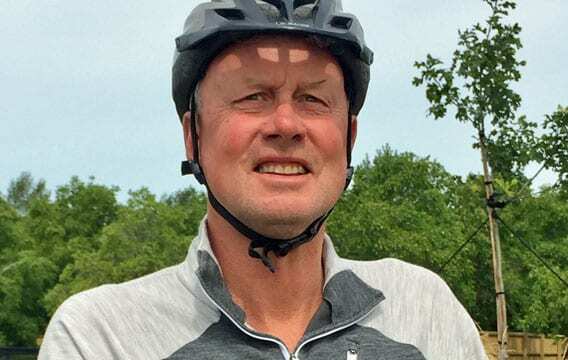 Both Kevin and wife Karen are passionate about the outdoors and have participated in most North and South Island cycling events. Kevin is a keen sportsperson, a doting grandfather (aka Pop) and has recently rekindled his love for acrylic landscape painting. Kevin joins the team after having completed two PureTrails tours with friends (as a customer!) and looks forward to introducing visitors to spectacular South Island vistas and rewarding cycling adventures. John has had a long career in the NZ Police, with time spent in the Search & Rescue & Alpine Cliff Rescue teams. 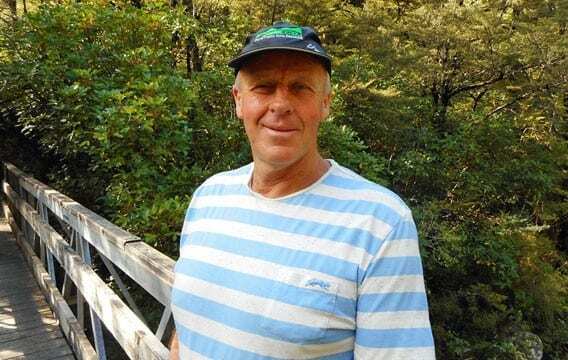 During this period John spent a lot of time rock climbing and caving all over the South Island, leading to an enduring love of the NZ outdoors. Outside of work John enjoys getting out in the hills hiking and cycling as well as swimming. John played rugby and water polo and still enjoys following these sports. He looks forward to meeting lots of people and sharing his love of the outdoors with PureTrails. "This is a trail that would have been very difficult to achieve as an individual, especially in the older age group. With the support and knowledge of back up and a ‘mother ship’ it made it possible to complete the 300km ride, enjoy the beauty and challenges this trail has. Again without the support I couldn’t have achieved my goal of riding from the Alps to Ocean." "Five lovely days. Plenty of hard pedaling – followed by showers and nice meals and lots of fun and laughter with eleven others. The ride is well researched and satisfied us in every detail. John you thought of everything and did everything to make us comfortable and kept to schedule and produced humour. Thank you so much." "A2O have done a wonderful job. We loved every day – all different. Hard without being too hard. Overall the trip exceeded our expectations in every respect. " "A ride to step out of one's comfort zone, but so satisfying doing so. Landscapes of huge contrasts and magnificence. A privilege to see!!" "Alps to Ocean ride exceeded all my expectations. I was apprehensive as I wasn't sure I was fit enough to complete the ride but happily I finished. Right from the outset I was impressed with the professionalism of the tour. The bikes were great, bus comfortable, accommodation comfortable, food was amazing and Peter & Bob were just THE BEST."